Big Dude took off for a training in RI, so it’s just me, Little Dude and the dogs for a couple days. Little Dude hates Paleo food. Dilemma. What’s to eat? Luckily I had leftover steak and sweet potato fries. If you remember my squash post, this is a stretch for me. But I made a honey mustard dip that was killer. He had hot dogs. Uncured chicken dogs, but don’t tell him that. 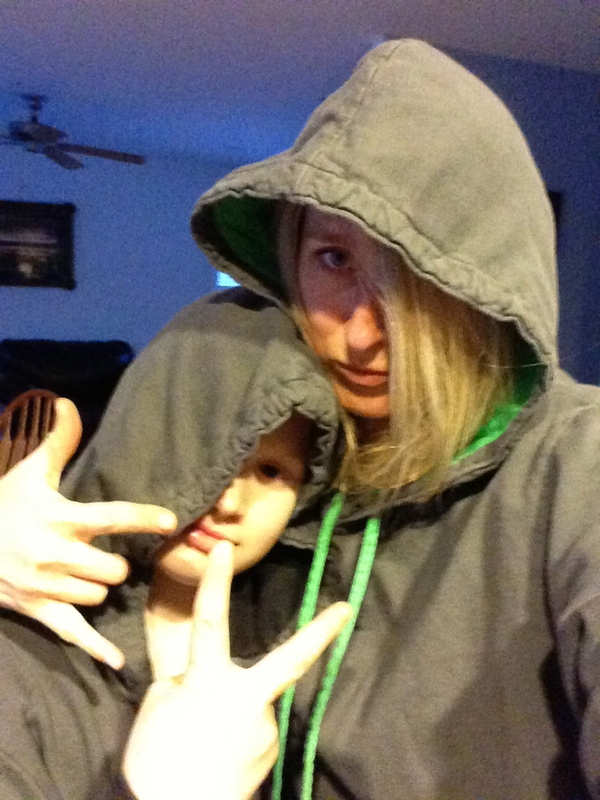 We hung out in our Thuggies, drank some tea and watched Diary of a Wimpy Kid Dog Days. Those movies make me laugh. 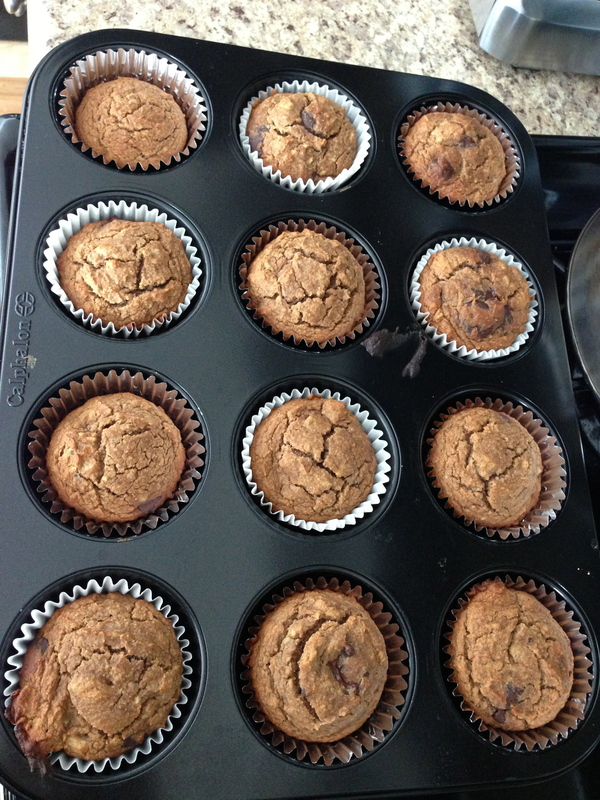 These banana bread muffins are amazing. They might be Paleo, but I think if I eat 3 of them, it doesn’t equal out. Ya know? Oh, and I added a cup of walnuts and a cup of dark chocolate chips. I think they’re like 76% cacao. They’re delicious. Baked for 24 minutes. Especially with my morning latte. Or afternoon tea. Or whatever. I have a huge problem. I’m reading / listening to 4 books. And I can’t decide which one to read tonight when I go to bed. I’ve got the smutty supernatural novel, the autobiographical curiosity killer, the light and airy chick lit, and the other one… I can’t remember. Must have been awhile since I grabbed that one.